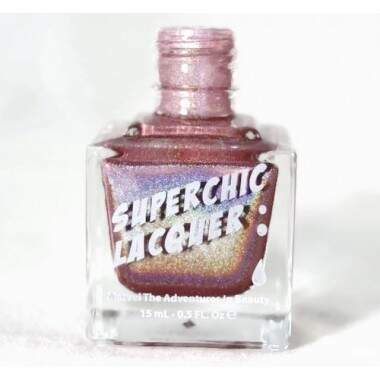 SuperChic Lacquer continuously aims to go beyond the latest trends in nail fashion beauty. 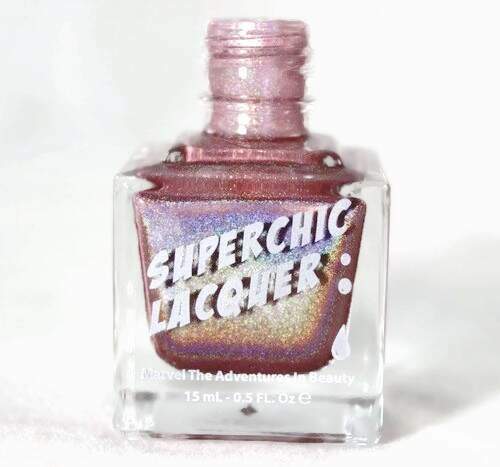 Continuously striving to set industry trends, SuperChic Lacquer focuses on the styles, shades and seasons of tomorrow while being dedicated to the production of high quality, *"5 FREE" & *"4 FREE" handcrafted nail lacquers that are free from formaldehyde, formaldehyde resin, DBP, toluene, or camphor. 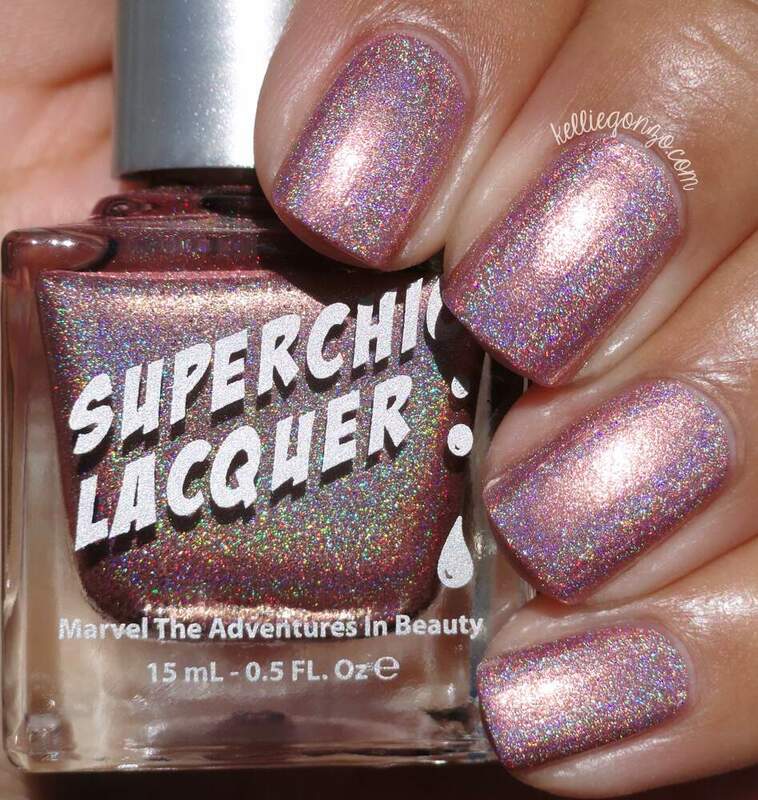 SuperChic Lacquer products are 100% vegan and cruelty free. We are proud to claim that our products are never tested on animals by ourselves nor by our contracted manufacturers, distrubutors, or suppliers. * Marvel, Marvel Star and Marvel PLUSH top coats are defined "4 FREE" as these products contain toluene, however are free from the remaining 4 chemicals indicated above. INGREDIENTS: Nitrocelluose, Ethyl Acetate, Butyl Acetate, Isopropyl Alcohol, Ethyl Alcohol, Triphenyl Phosphate, Propyl Acetate, n-Butyl Alcohol. May also contain: Cosmetic White RS N/C,D&C Black #2 Nitrocel, D+C Red #7 Nitrocel, FD&C Yellow #5 Nitrocel, Cosmetic Iron Blue Nitrocel, Mica, Titanium Dioxide, Tin Dioxide, Synthetic Fluorphlogopite, Iron Oxide, Calcium Aluminum Borosilicate, Silica, Ultramarine Blue, Manganese Violet, Chromium Oxide Green, Ferric Ferrocyanide, Acetone, Polyester & Aluminum Glitter. *Marvel, Marvel Star and Marvel PLUSH top coat products contain toluene.